It's been about a year that I've been thinking about how to best sell my unique, custom gifts. I've been attempting to sell my wine charms on Etsy for years, with minimal luck. 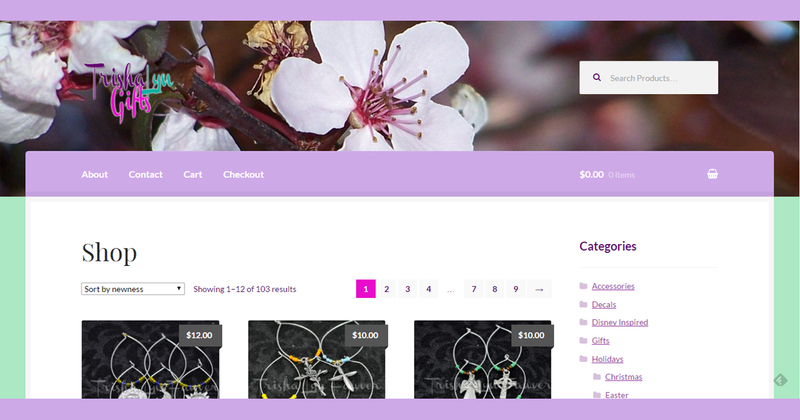 I've grown tired of continually paying Etsy fees for items that aren't selling, so I switched my focus to Storenvy. At least with Storenvy, the fees come out only if you've actually sold something, which seems like a better deal to me. Since a conversation with my dad in May, I've been trying to figure out a good domain name to make my own shop and I finally found it sitting right in front of me - I already own it. So, introducing Gifts.TrishaLyn.com!